charged by the United States of America on three counts of violating 18 U.S. Code § 793(e), for knowingly removing and retaining classified information from a secure location. He has also been charged on three counts of violating 18 U.S. Code § 2071(a), for unlawfully removing public documents from their secured location. U.S. v. Hitselberger, 2013 WL 5933655 (U.S. District Court for the District of Columbia 2013). You can find the superseding indictment in the case here. And you can read more about the facts in the case in the story you can find here. According to the Criminal Complaint that was filed to initiate the case (and later followed by the indictment), the events that led to the charges effectively began in June of 2011 when Global Linguist Solutions, LLC (GLS) “offered him a job as a linguist.” U.S. v. Hitselberger, Criminal Complaint ¶ 6, (U.S. District Court for the District of Columbia 2012). That same month, he underwent “Initial Security Awareness Training” at the GLS Security Office in Herndon, Virginia. Criminal Complaint ¶ 8. In September of 2011, GLS deployed Hitselberger to “Naval Support Activity Bahrain . . . in support of the Joint Special Operations Task Force-Gulf Cooperation Council (JSOTF-GCC). Criminal Complaint ¶ 9. 11. During Fall of 2011, one of HITSELBERGER’S supervisors, who was assigned to the JSOTF-GCC, observed and overheard HITSELBERGER discussing SECRET/NOFORN HUMINT classified information at the NSA-Bahrain commissary. Such information is classified at the SECRET level, it cannot be shared with foreign nationals (NOFORN), and it derives from human assets (HUMINT). The discussion was in public in an unauthorized area not specified for classified discussions. During this incident, HITSELBERGER talked loudly about the document he had just translated, which he thought was interesting. The supervisor told HITSELBERGER to stop, but HITSELBERGER laughed at him and began talking about it again. . . .
12. On April 11, 2012, at approximately 11:15 a.m., HITSELBERGER signed into his Secret Internet Protocol Router Network (SIPRnet) account, which is located on a secure, SECRET level computer system, and began by checking his email at a computer workstation within the JSOTF office space. This space is a Restricted Access Area (RAA). 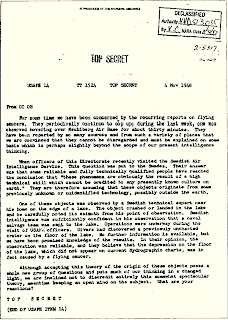 During his computer activity, HITSELBERGER was observed by two supervisors viewing JSOTF Situation Reports (SITREPs), which were classified SECRET. 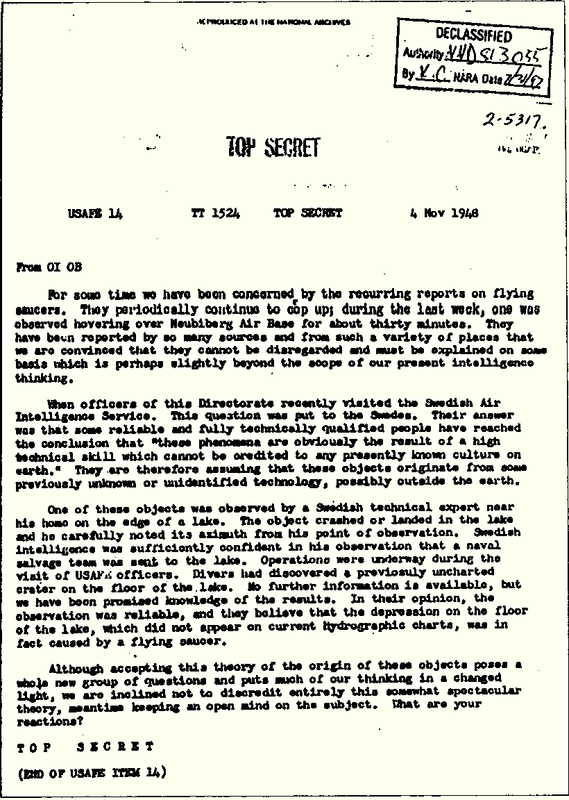 HITSELBERGER was then observed printing multiple pages of the SECRET SITREP documents from a SECRET printer. One of HITSELBERGER’S supervisors became concerned that HITSELBERGER, a translator, was reviewing classified SITREPS which contained sensitive troop information and intelligence analysis. HITSELBERGER was then observed taking the classified documents from the printer, folding them, and placing them into an Arabic-English Dictionary and subsequently placing the dictionary into his personal backpack. HITSELBERGER left the RAA and the building with SECRET documents in his backpack. As previously stated, [he] did not possess the requisite authority, or courier authority, to remove classified documents from the RAA. After witnessing the event, and upon leaving the RAA, one of HITSELBERGER’s supervisors and his commanding officer followed him in order to prevent the classified material from being compromised further. They stopped him in a public space outside the building that houses the RAA. They told HITSELBERGER they needed to see what was in his bag and asked him to produce the documents he had just printed. HITSELBERGER first took out only one classified document from inside the dictionary. When his supervisor asked what else he had, HITSELBERGER finally surrendered the second classified document from his backpack. U.S. v. Hitselberger, Criminal Complaint, supra. conducted a Command Authorized Search and Seizure of Hitselberger's living quarters in Bahrain. . . . Inside, Special Agents found documents classified as SECRET with the SECRET warning label cut off the top and bottom of the pages. . . . . After investigation, it was determined that Hitselberger received the documents as an e-mail attachment sent to several persons on a distribution list. [p]rior to trial, Hitselberger is required, under the Classified Information Procedures Act 18 U.S.C.App. III Section 5, to notify and briefly describe to the Government and the court any classified information the defense is likely to disclose during the trial. Furthermore, Hitselberger may be obligated, under Section 6 of the same provision, to explain the use and relevance of previously disclosed classified information in a hearing before this Court. If Hitselberger fails to comply with these provisions, disclosure of the classified information may be precluded. Section 5 [of the CIPA] requires a defendant to provide notice to the United States and this court if he or she `reasonably expects to disclose or cause the disclosure of classified information.’ . . . Section 6 provides for a pre-trial hearing, upon the request of the United States, to determine the use, relevance or admissibility of the classified information that would otherwise be disclosed during the criminal trial. . . .
CIPA thus includes provisions, such as Sections 5 and 6, in order to provide the government with notice of the type and basic content of classified information which may be disclosed at trial. Still, Congress was careful to highlight the defendant's continued and important right to a fair trial, thus creating a statutory framework carefully balancing both the government's and the defendant's interests. U.S. v. Poindexter, supra. do not require a defendant to specify what he will testify about or even whether he will testify. `The statute requires merely a general disclosure as to what classified information the defense expects to use at the trial, regardless of the witness or the document through which that information is to be revealed.’ U.S. v. Poindexter, supra. See also U.S. v. Hashmi, 621 F.Supp.2d 76 (U.S. District Court for the Southern District of New York 2008) (`The potential of precluding the disclosure [under CIPA] does not amount to a ‘penalty’ for the defendant's exercising of his right to remain silent’); U.S. v. Lee, 90 F.Supp.2d 1324 (U.S. District Court for the District of New Mexido 2000) (CIPA does not require a defendant to specify whether or not he will testify and the defendant maintains an option to remain silent regardless of CIPA disclosures). . . .
CIPA's disclosure requirements only govern pre-trial evidentiary disclosures, as opposed to testimonial disclosures. And mere evidentiary disclosures do not violate a defendant's 5th Amendment right to remain silent. See U.S. v. Nobles, 422 U.S. 225 (1975) (`the constitutional guarantee [against self-incrimination] protects only against forced individual disclosures of a “testimonial or communicative nature”’). Moreover, CIPA's disclosure requirements neither require the defendant to use the disclosed evidence at trial, nor take the stand and testify on his own behalf if he does not wish to do so. are many other instances in which defendants have been required to disclose elements of their defense prior to trial. . . . Examples include Federal Rules of Criminal Procedure 12.1 (alibi defense); Federal Rules of Criminal Procedure 12.2 (insanity defense); Federal Rules of Criminal Procedure 12.3 (public authority defense); Federal Rules of Criminal Procedure 16 (medical and scientific tests, and tangible objects, and certain documents). These sorts of provisions have consistently been held to be constitutional. Williams v. Florida, 399 U.S. 78 (1970); Taylor v. Illinois, 484 U.S. 400 (1988). U.S. v. Hitselberger, supra. He therefore held that CIPA’s pre-disclosure requirements do not violate Hitselberger’s 5th Amendment privilege against self-incrimination. U.S. v. Hitselberger, supra. violate his 6th Amendment right to effective cross-examination under the Confrontation Clause. Specifically, [he] contends that CIPA's pre-trial disclosure requirement gives the prosecution advance notice of the defense strategy, and allows the prosecution to manipulate the witness list in a manner favorable to the government. . . . [Hitselberger] argues, additionally, that advance disclosures preclude effective cross-examination by eliminating defense counsel's element of surprise when questioning adverse witnesses. `Confrontation Clause of the 6th Amendment guarantees a criminal defendant an opportunity for effective cross-examination.’ U.S. v. Ayala, 601 F.3d 256 (U.S. Court of Appeals for the 4th Circuit 2010). . . . The clause does not, however, confer the right to cross-examine `in whatever way, and to whatever extent, the defense might wish.’ Delaware v. Van Arsdall, 475 U.S. 673 (1986). “District courts thus retain wide latitude insofar as the Confrontation Clause is concerned to impose reasonable limits on such cross-examination. U.S. v. Ayala, supra. This court thus carefully considers Hitselberger's Confrontation Clause claim to determine whether CIPA's pre-trial disclosure requirement is merely a `reasonable limit’ on cross-examination, or if it rises to a constitutional violation. . . .
not burdensome enough on the defendant's ability to cross examine witnesses to constitute a violation of the Confrontation Clause. As noted in U.S. v. Drake, `CIPA does not mandate that [the defendant] reveal his trial strategy, but only that he identify whatever classified information he plans to use.’ 818 F.Supp.2d 909 (U.S. District Court for the District of Maryland 2011). See also U.S. v. Lee, 90 F.Supp.2d 1324 (U.S. District Court for the District of New Mexico 2000) (`CIPA does not require that the defense reveal its plan of cross-examination . . . what questions . . . counsel will ask, in which order, and to which witnesses. ); U.S. v. Ivy, 1993 WL 316215 (U.S. District Court for the District of Pennsylvania). . . . This merely amounts to a `tactical disadvantage’ not an infringement of Hitselberger's Confrontation Clause rights. U.S. v. Lee, supra. are unlike the statute in Davis v. Alaska, where the defendant was fully foreclosed from cross-examining an adverse witness. 415 U.S. 308 (1974). Hitselberger recognizes that is not the case here. He instead contends that CIPA disclosures make the defense's cross-examination less effective because the State will have advance access to key defense evidence and strategy. . . . This is not sufficient to constitute a constitutional violation. The Supreme Court has held, in the context of alibi defenses, that the defendant does not retain a constitutional right to “surprise the State” with evidence that they were already planning to divulge at trial. Williams v. Florida, 399 U.S. 78 (1970). See also U.S. v. Drake, supra (`[T]he Confrontation clause does not guarantee the right to undiminished surprise with respect to cross-examination of prosecutorial witnesses’); U.S. v. Poindexter, supra (rejecting defendant's theory that the 6th Amendment guaranteed him an `unqualified right to undiminished surprise with respect to cross-examination’). . . .
state's interest in protecting classified information from the public's eyes is a significant and important interest. See U.S. v. Drake, supra (possible preclusion of undisclosed classified information was outweighed by the government's regulatory interest in protecting that information); U.S. v. Lee, supra (`it is obvious and unarguable that no governmental interest is more compelling than the national security of the Nation’); U.S. v. Poindexter, (describing how `graymail’ had impaired the government's ability to effectively prosecute individuals endangering national security). He also noted that, as he explained earlier in the opinion, “Congress has already carefully balanced both the State's and defendant's interests in enacting CIPA, requiring the disclosure of only classified information likely to be disclosed at trial, and allowing the district court significant leeway to make a case by case determination on the admissibility of that evidence.” U.S. v. Hitselberger, supra. The judge therefore rejected Hitselberger’s argument that the CIPA provisions violated the 6th Amendment. U.S. v. Hitselberger, supra.